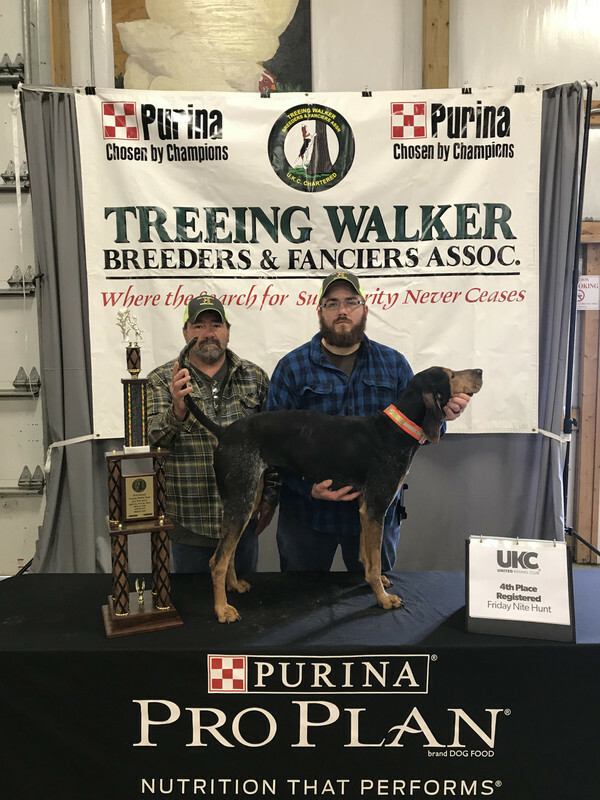 Ol Bobby is a coondog and a good looking sucker!! Best of luck with him Tim!! 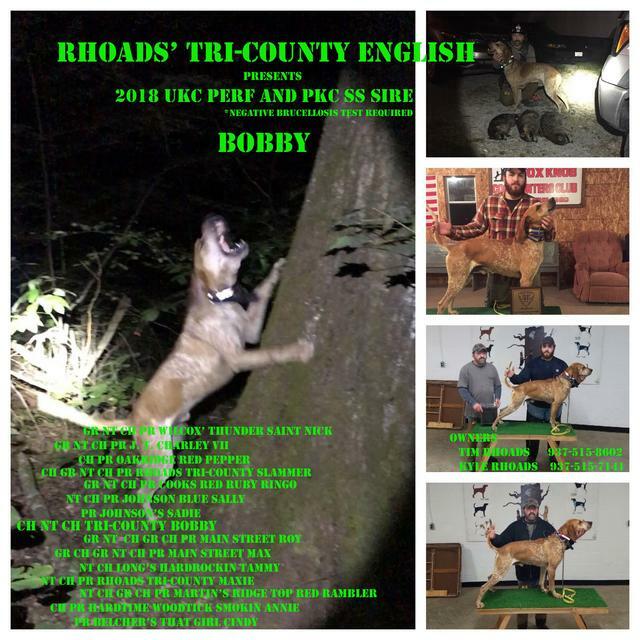 Bobby is all coondog don't overlook him. I have been out with him several times and he has always looked good! Nite CH. Pr Barbers Hardtime Mawley(Spike x Dixie) R.I.P. Cell 513-325-7128 call after 3pm or text anytime. Thanks Seth and Dion we are excited to get a few litters off him have a few lined up. Just bred a Real Bad Boy bred female this week will post her ped soon. Have a couple planned for Slammer as well. He will be coming 10 yrs old 4/5/18 he will be a UKC Perf sire 2018. Thanks Tim. Bobby x DD pups are due end of Feb will also be Perf and SS eligible. These are some great guys to deal with. 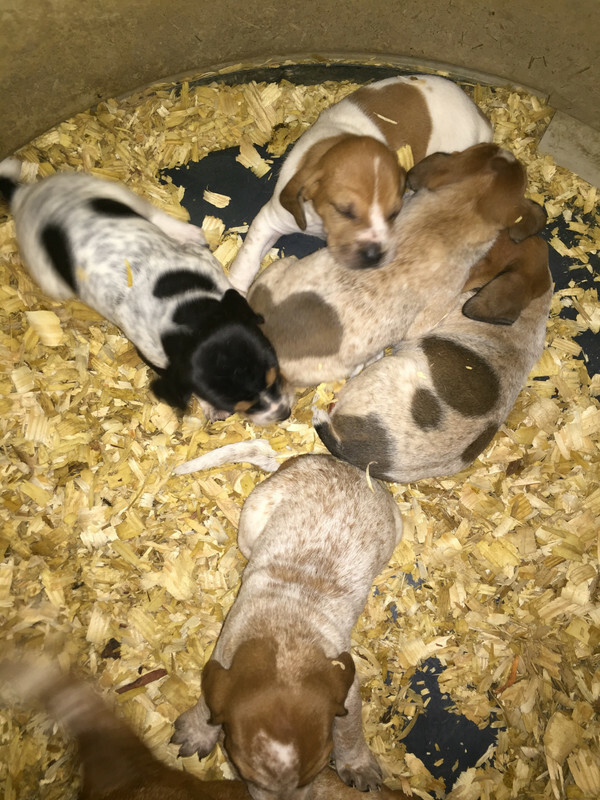 Good line of hounds they have as well, I've had 3 out of ol slammer that could get the job done at an early age. Good luck Tim and Kyle with Bobby. Thanks Linus we appreciate that. Gonna be a nice cross for ya!! Bobby is all coondog!! Pic of Bobby from the other night. 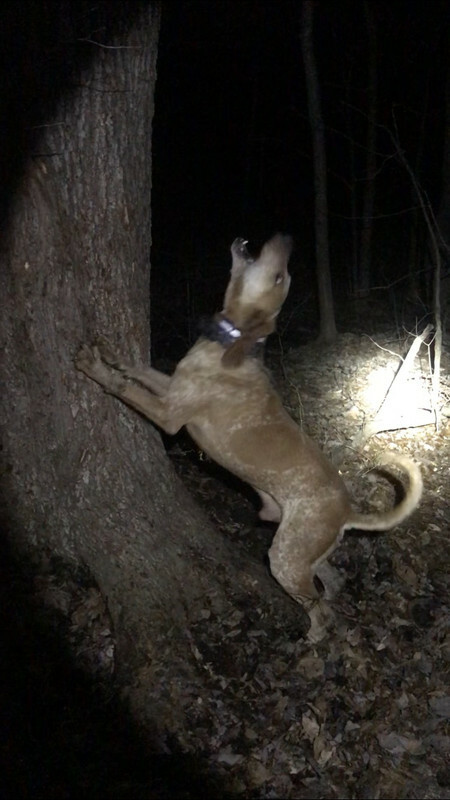 We�ve been pushing him in some PKC hunts here lately. He sure is a nice one! Consistent night in and night out. Not afraid to show him any night. Bring your light and boots and come see him go. Thanks Seth we sure like Bobby and hope he reproduces well. Should be a nice cross with DD. We finished Bobby to GrNtCh last night. Had a great cast and saw some good dog work. Bobby is Perf and SS sire for 2019. Come for a hunt. Yep he�s still hanging just had a litter off him. Thanks Seth and Doug. She�s a nice little female. Haven�t got to hunt her much until lately with work but hope to get her out more.